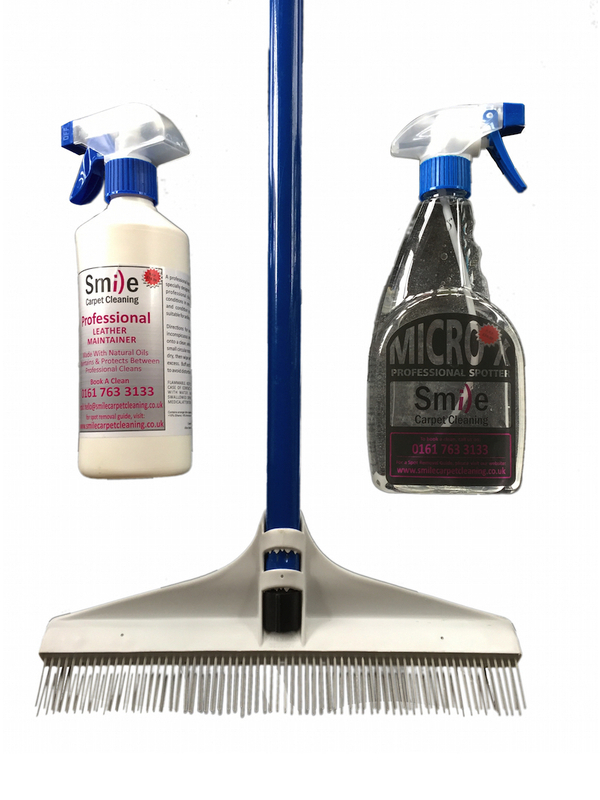 The Perfect Cleaning Package: Smile Carpet Cleaning’s Premium Carpet Spotter, Professional Leather Maintainer and Carpet Rake. Buy all three fabulous products so your leather upholstery is forever protected and your house is always equipped against tough stains, dirt, soil and pet hair. 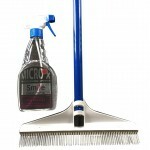 Categories: Carpet Spotters, Cleaning Bundles, Cleaning Tools, Leather Maintainers. 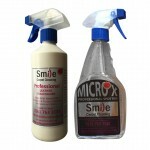 Need a quick fix for tough to remove stains? 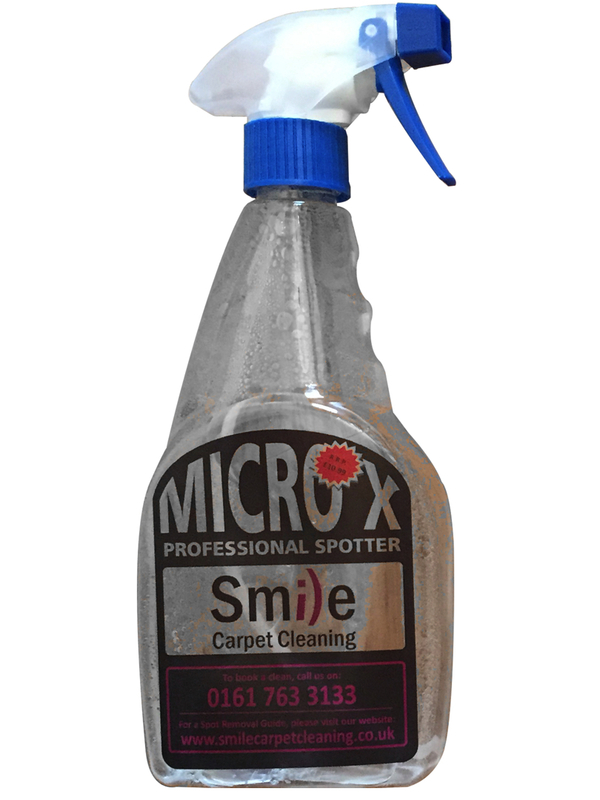 Smile Carpet Cleaning’s Premium Carpet Spotter will vanish your most stubborn stains. 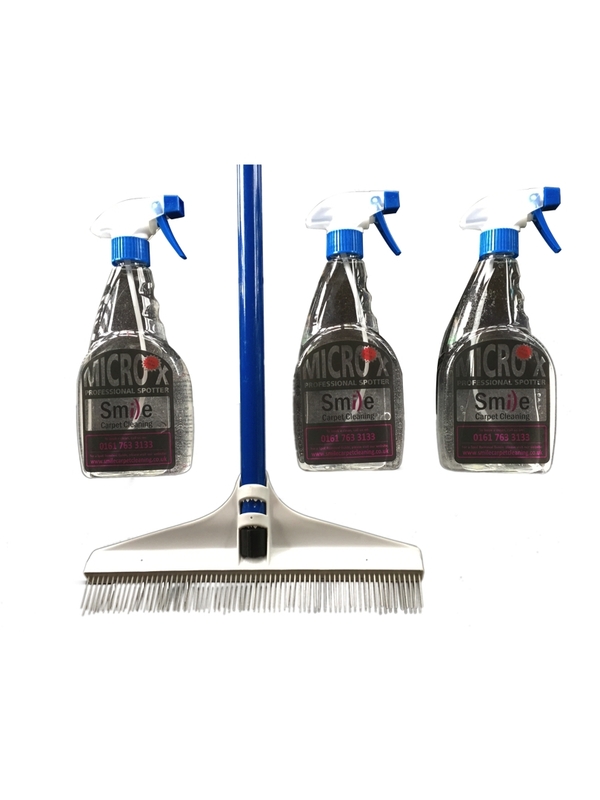 An effective general micro-splitting spot and stain remover that is non-re-soiling, leaves no sticky residues, will NOT bleach, and is enzyme free. It is odourless and non flammable and will NOT affect stain protections which may be present. 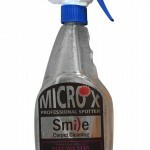 Safe for all washable carpets and textiles. Do you want to protect your loved leather furnisher? 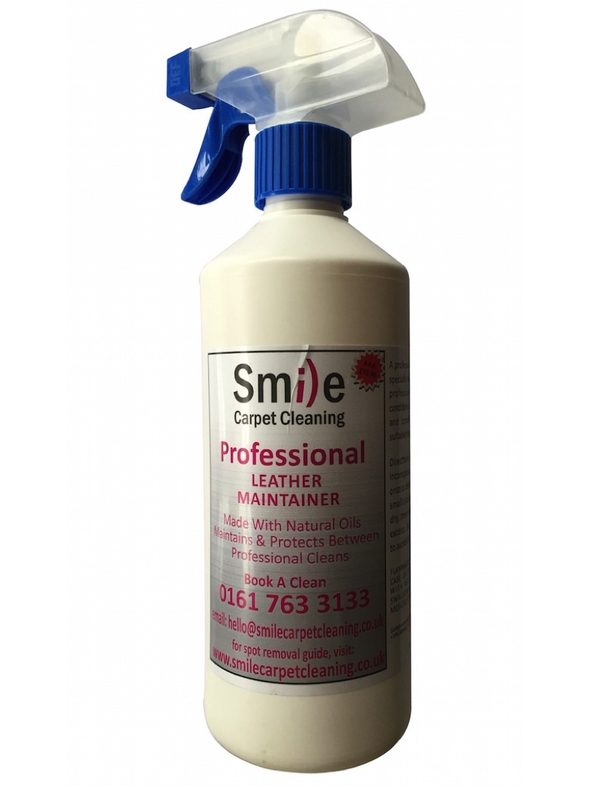 Smile Carpet Cleaning’s Professional Leather Maintainer cleans, protects and conditions in one easy application. 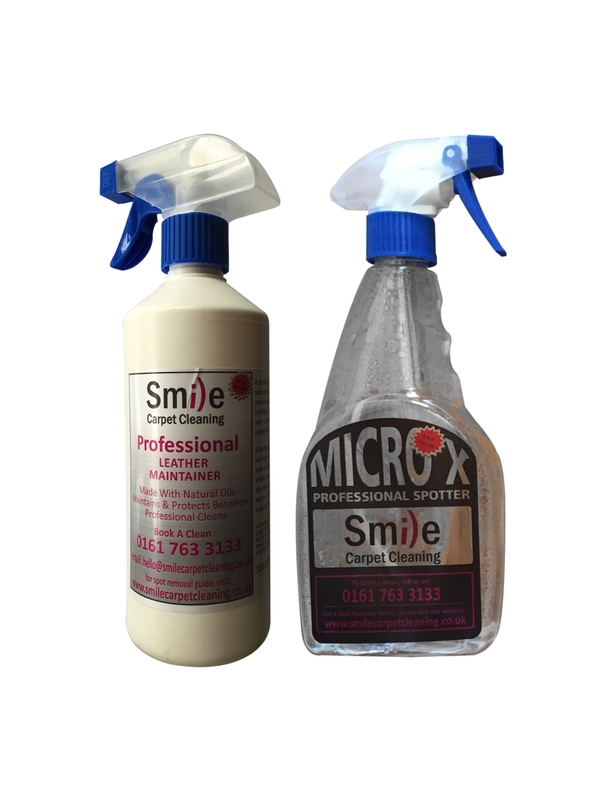 A professional leather maintainer and protector specially designed for use in the home between professional cleans. Cleans, protects and conditions in one application. Use to maintain and condition your leather upholstery. *Not suitable for aniline, nubuck or suede finishes. – Buff and finish to a fine shine. *Do not rub to avoid distortion to texture. 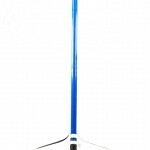 Do you want a speedy way to clean your carpets? 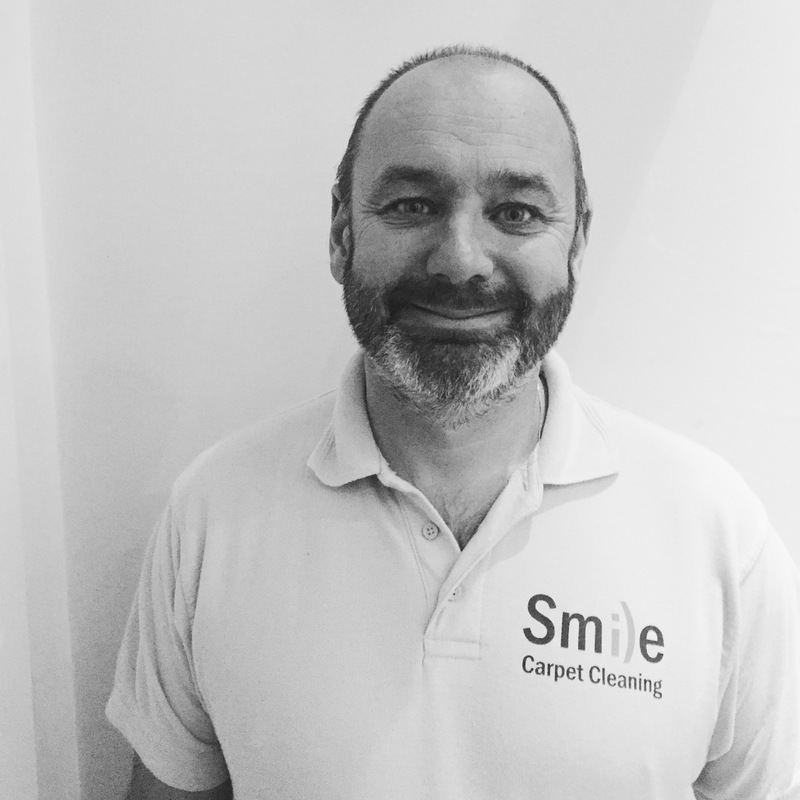 Smile Carpet Cleaning’s Carpet Rake brings all the dirt, pet hair and dust to the surface of your carpet making cleaning a quick and easy job. 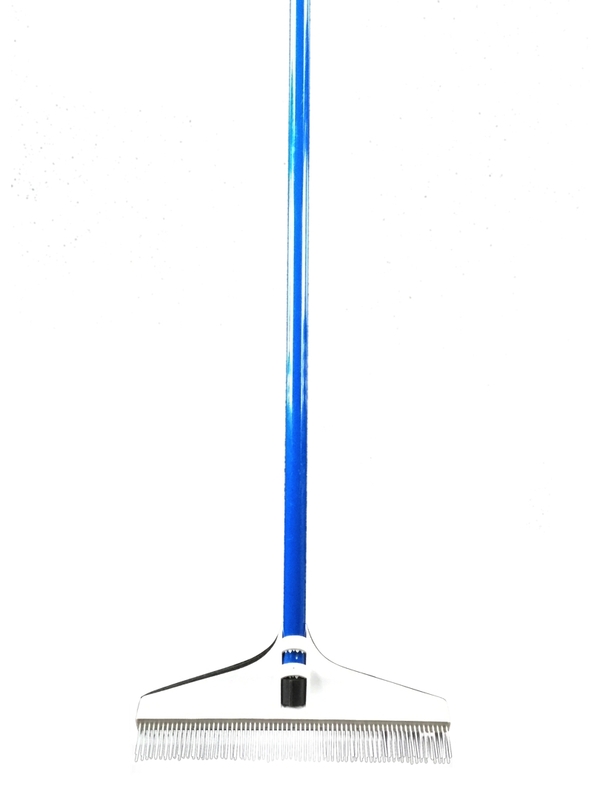 This 12 ” rake means you don’t have to crouch over when cleaning making it kinder to your back. 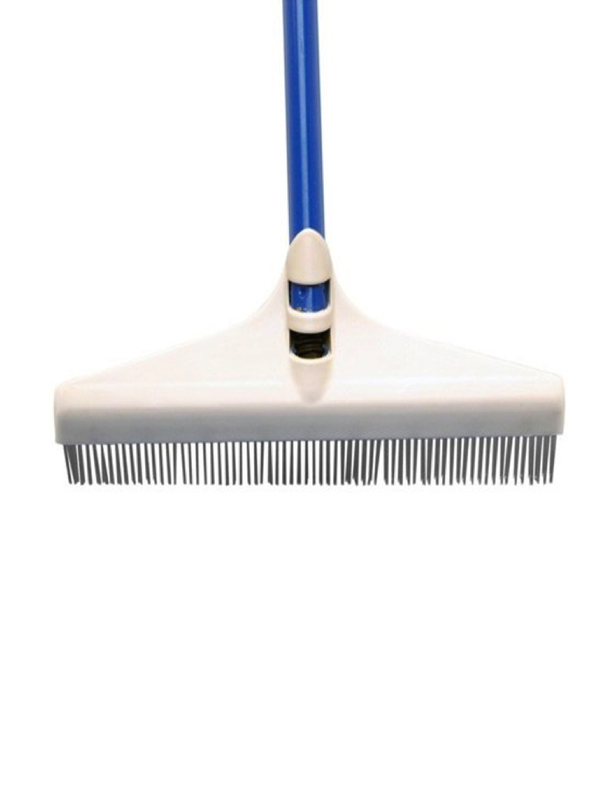 The tiny plastic needles lifts the dirt, soil and pet hair that is embedded in your carpet to the surface. Then, simply vacuum your carpet and stand back to appreciate how cleaner your carpet looks. – Press the head against your rug, and apply light pressure. – To clean, pull back using short strokes. For best results, use firm pressure, and press down harder for deeper carpet. – Work in one area at a time, and move systematically across the floor. 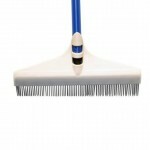 – Fur will collect in the bristles, so use your hands or a comb to remove hair, and empty into the trash. 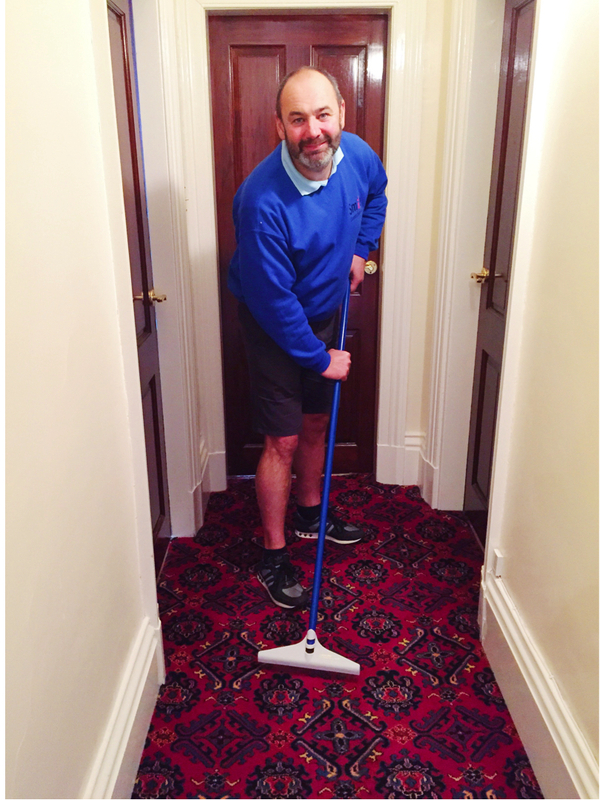 – Vacuum your carpet and stand back to appreciate how cleaner your carpet looks.